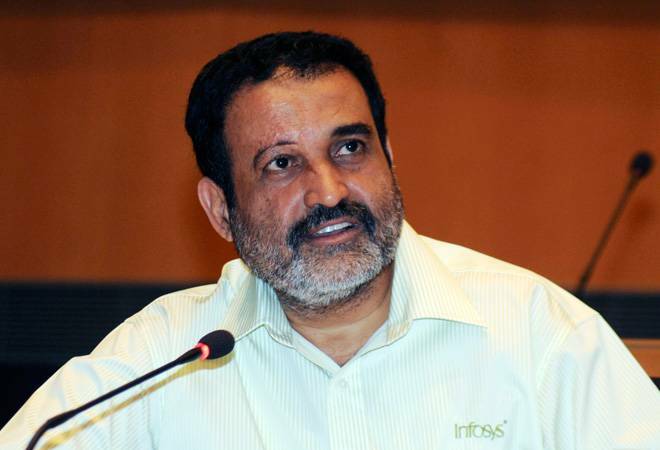 Former Chief Financial Officer of Infosys, T V Mohandas Pai said entry-level packages in the industry went up by as much as 20 per cent in 2018, after stagnation in salaries for the past seven years. India's information technology (IT) services sector and start-ups together are expected to hire up to five lakh people in 2019 as demand for freshers is on the upswing, an industry veteran said on Wednesday. Former Chief Financial Officer of IT major Infosys Ltd, T V Mohandas Pai said entry-level packages in the industry went up by as much as 20 per cent in 2018, after stagnation in salaries for the past seven years. "Growth is coming back to the Indian IT services industry," he told PTI, talking about industry highlights in 2018 and prospects in the coming calendar year. Pai said 2018 saw "H-1B visa situation getting tougher," Indian companies focusing more on Japan and southeast Asia, massive expansion of captives and buy-backs by big companies. Hyderabad has become a hot destination, with many new age companies coming to the Telangana capital, thanks to good infrastructure, and "very good marketing" by KTR (K T Rama Rao, who served as IT Minister in the previous TRS government), according to him. He also said Indian companies were now trying to expand in markets in Asia much more vigorously, particularly Japan which is "opening up" and southeast Asia. Reskilling of employees in IT services companies has redoubled, Pai said. "More than half the people have been reskilled in all the IT companies in India. Digital income is growing in double digits for all the companies. 2018 has been a good year". Hiring has gone up, he said. "First time in seven years, hiring compensation (entry-level) has gone up by 20 per cent. Fresher compensation is going up, after a long time. It's a good news". Entry level packages are now pegged at 4.5 lakh to Rs 5 lakh per annum, as companies are beginning to pay more to attact "higher quality". "For many years, entry-level compensation packages had not gone up, demoralising people. In fact, delivery boys in cities make 50,000 rupees a month, much more than software engineers. It's ridiculous," Pai said. He listed greater use artificial intelligence and machine learning in enterprises, greater thrust on digitisation, bigger spending by BFSI (banking, financial services, insurance) in America, as being growth opportunities for Indian IT companies in 2019, which will also see them look for greater penetration into Europe and Asia. But the challenges for them are going to be localisation in America. "You must become more local in America, most of them (Indian companies) are trying to do. And they are finding that when you are local, cost actually is not increasing because you are going to smaller towns where costs are much less". The year 2019 is going to be better for entry-level guys because hiring is going to be much better, said Pai, also Chairman of Manipal Global Education Services, and Aarin Capital, and a member of the Board of Directors of the National Stock Exchange of India Limited. Start-ups have a total of 600,000 employees in India. "In the coming calendar year, my estimation is they (startups) will hire about 200,000 people. In 2018, I think they hired 150,000 people", he said. "Totally between IT services and start-ups, my estimate is 4.5 lakh to five lakh people will be hired (in India in 2019)". In 2018, the IT services companies and startups together are estimated to have hired 3.5 lakh to four lakh people. "Now start-ups are becoming big. There are 39,000 start-ups (in India), every year 5,000 startups come up (in India), so when the startups are beginning to hire, they hire all kinds of people, not only engineers, whereas services companies will hire more engineers and (those for) BPO (business process outsourcing," Pai said.